‘Watch Me Happening’ is bargaining, a dialogue between various parts, within one self, or a dance, a solo. It’s a piece in which objective and subjective, personal and collective approaches, opinions and thoughts are treated in the boundary of instincts and consciousness. 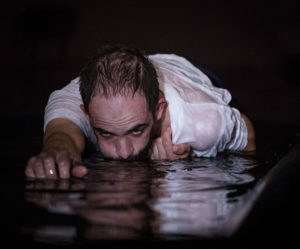 After years of collective creations – Skin Me, Decameron, Tropical Escape, The Ox – this time Csaba Molnár is working on a solo piece, which will be premiered in October at SÍN Arts and Culture Centre, Budapest.